It is a part dance and part aerobics routine, but it ensures that every muscle in the body gets a good work out. The Latin American dance form zumba, combines different styles like cha-cha-cha, mumba, merengue, salsa and reggae-tan, packing them into one intense dance session. This new form of exercise is slowly gaining popularity in the UK. 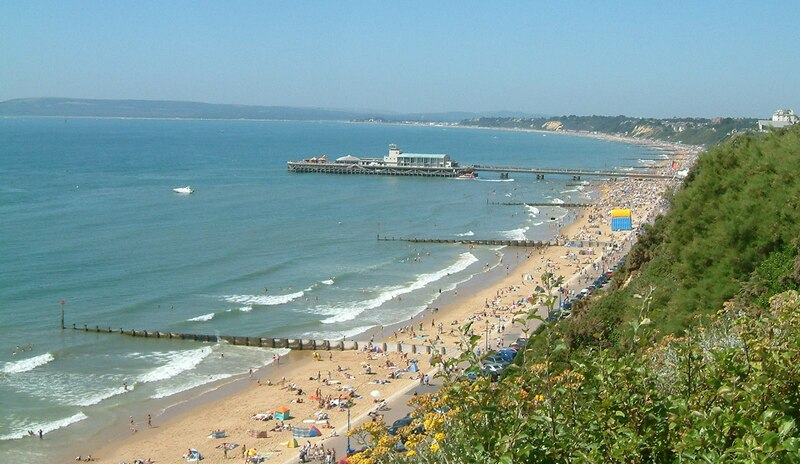 And Bournemouth will be making their second attempt at breaking a world record this Sunday at Windsor Hall, Bournemouth International Centre, for the largest gathering of zumba dancers. 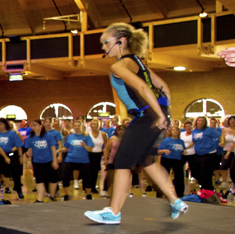 The Zumba Smash 2 will be attempted again, after the last unsuccessful attempt in October where only 750 dancers showed up. “We are hopeful of notching up the numbers this time. I think the organisers have done a better job to advertise the event,” says Tanya Bright, the zumba fitness instructor who will be conducting the session on Sunday. Miss Bright is a trained latin american and ballroom dancer and is a certified rumba fitness instructor since 2007. “I stick to one dance style in each song. The reason for zumba’s popularity is that it is loaded with different dance forms and it is a very sociable event,” she says. But the official Guinness World Record has gone up since their last attempt in October. The record for the largest zumba gathering stands at 2012 dancers, which was set by Zumba fitness in London in the last few months. “We have planned our routines this time and will be looking to get any number of people over 2012. We will be playing a mixture of salsa, merengue and reggae-tan tracks,” said Miss Bright, who will begin the record-breaking attempt at 11: 30 AM on Sunday. Assisted by fellow zumba trainer, Cat Fowler, the duo have been rehearsing at the BIC for the past week. But two participants from the October attempt explained why they are not keen on participating this time. “The pace of the dance was too fast and frantic. The cause was worthwhile but the execution of it was not. Unless they vary the rhythm of the music and offer different styles we don’t see ourselves involved with this event,” said Alison Davies, a 40-year old participant, who attended the event with her 16-year old daughter. The organisers, Wessex Autistic Society and Louise Manning Hospice are offering free entry to last year’s participants. Otherwise, there is a £5 entry fee at the door. MA student at Bournemouth University, pursuing Multi Media Journalism. Have been a print journalist in India for four-and-a-half years. Going back into academics to gain a different perspective on news and current affairs. Hopefully, the experiment pays off well.